1. At 12 FA Cup wins, no team has won the worlds oldest and greatest club football competition than Arsenal. Let’s make it 13. 8. Only 11 times in 128 years has a team done the Double. The odds are against Chelsea. 10. What did she wear? 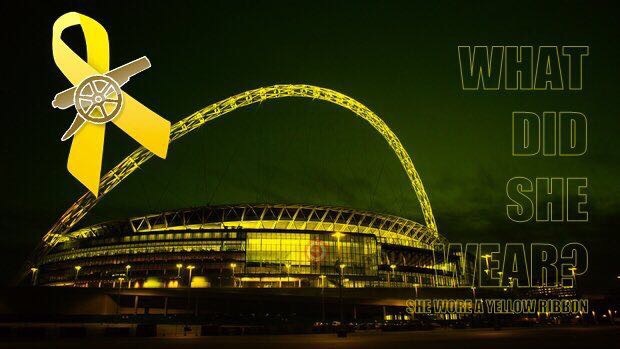 This entry was posted in Arsenal and tagged Arsenal, Chelsea, FA Cup Final, fa cup final 2017, She Wore, She Wore A Yellow Ribbon on May 27, 2017 by keenosafc.